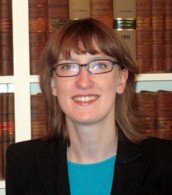 This case has already been expertly dissected for UKSC Blog by Samantha Knights of Matrix (here). We share her overall assessment that while the case is clearly important, none of the parties could be satisfied with the outcome. Mr Rahmatullah remains detained in Afghanistan with no immediate prospect of release. Against this background, it may seem surprising that JUSTICE, as third party intervener in the case heralded this as an important judgment which “reaffirms the importance of the ancient common law writ of habeas corpus”. JUSTICE intervened as a third party in this case, in favour of an interpretation of the law which would allow our domestic courts – on a case-by-case basis – to explore the degree of control which the UK in fact exercises over persons detained overseas, subject to our international legal obligations and the diplomatic commitments made in assurances from other States and memoranda of understanding. JUSTICE has intervened in most of the key cases in the UK and at the European Court of Human Rights on the relevance of memoranda of understanding and other diplomatic assurances for the purposes of establishing compliance with human rights standards, notably compliance with the right to be free from a real risk of torture or inhuman or degrading treatment on deportation, including Othman v UK. Lord Kerr, speaking at the JUSTICE/Sweet and Maxwell Annual Human Rights Law Conference, called JUSTICE’s contribution to this case “powerful and significant”. In Rahmatullah, the Secretary of State sought to argue that the existence of detailed memoranda of understanding; and concrete obligations in international law under the Geneva Conventions were irrelevant to establishing whether the UK should be considered to have adequate control over a person for the writ of habeas corpus to issue. In evidence, a witness statement was produced to say that requesting return of Mr Rahmatullah, as it appeared we were entitled to do under the relevant memoranda and were required to do under our international obligations, would be “futile”. 2. A purposive approach to control must be taken. The degree of control necessary for a writ to issue must be approached as a question of fact, regardless of territorial or other restrictions. A formalistic approach should be rejected in favour of allowing control to be effectively tested through the return process. Only this approach could maintain the seriousness and effectiveness of the writ. 3. The Act of State doctrine has no relevance in connection with this case. In our view, a distinction should be drawn between judicial attempts to force the Government’s hand in diplomacy and cases such as this one, where the vindication of pre-existing rights in domestic law may have wider policy implications. 4. The Government’s arguments on the irrelevance of memoranda of understanding were consistent with the considerable weight placed on these instruments for other purposes, notably in the context of diplomatic assurances surrounding proposed deportations. The Court of Appeal’s decision to treat the relevance of the memoranda as a factual question, to be resolved by examining the evidence in the round was entirely consistent with the approach of the domestic and Strasbourg courts. [t]he relevance of an MOU for the assessment of “control” for the purposes of habeas corpus jurisdiction must be assessed on a case, by case basis, just as routinely happens in deportation cases. An MOU may not of itself be justiciable, but it is factually relevant to the assessment of questions which are justiciable: such as, in the present case, whether for the purposes of habeas corpus jurisdiction the Government has sufficient control over Mr Rahmatullah (at ). Following this analysis, it is perhaps unsurprising that only two of the Justices (Baroness Hale and Lord Carnwath) found that the Court of Appeal’s discharge of the writ on return had not been justified, in light of the limited further information provided by the Secretary of State including correspondence with the US government which did not expressly refer to the obligations in the Geneva Convention or the MOU. JUSTICE did not intervene in the cross-appeal on the factual issues in the case. The Court’s judgment does reassert the proactive role of the Court in connection with habeas corpus claims, even those outside the jurisdiction. If the Government’s case had been successful, the practical implication would have been that the Court would have retained little control, if any, in connection with fact-finding in connection with habeas corpus claims outside the ordinary frame. Instead, the Court has reiterated its place as the central arbiter of jurisdiction in habeas corpus, albeit concluding that the bounds of the writ are limited. We share Samantha Knights scepticism that litigation on this issue is likely to continue for years to come, across multiple common law jurisdictions. Indeed, should a future court require more of the UK government before discharging a writ, it is likely that each of the reservations expressed by Lord Phillips in his separate judgment will be expertly explored by government counsel on appeal. In the meantime, the decision sends a helpful message on the government’s approach to memoranda of understanding and other diplomatic assurances. JUSTICE criticised the government’s case on MOU as the legal equivalent of “having your cake and eating it”. That this approach was adopted at all, provides some factual ammunition, albeit of a limited nature, to those seeking to challenge the significance of MOU in future cases. That it failed, should strengthen the arguments of those who argue for close scrutiny before MOU are accepted as an effective salve to any real risk of torture on deportation. JUSTICE was kindly represented pro-bono by Allen & Overy, Tom de la Mare QC and Fraser Campbell of Blackstone Chambers. Leave a reply on "View from an intervener: JUSTICE on SSFCA & Anor v Rahmatullah  UKSC 48"